City players celebrate Sterling's goal. Email “Raheem Sterling stars as Man City survive late scare to reclaim Premier League top spot”. 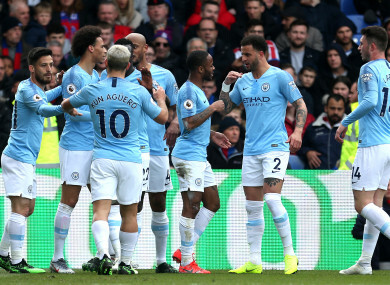 Feedback on “Raheem Sterling stars as Man City survive late scare to reclaim Premier League top spot”.